UMBC has once again been recognized as one of the top universities in the nation through Princeton Review’s popular undergraduate guide, The Best 384 Colleges. UMBC provides a welcoming, enriching environment in which all undergraduate students learn to collaborate, study effectively, and engage in high impact, meaningful experiences that promote academic success. The strength and diversity of our curricular and undergraduate research experiences coupled with the dedication of our faculty as instructors and mentors, creates a culture of innovation and excellence and provides students with a distinctive undergraduate experience. 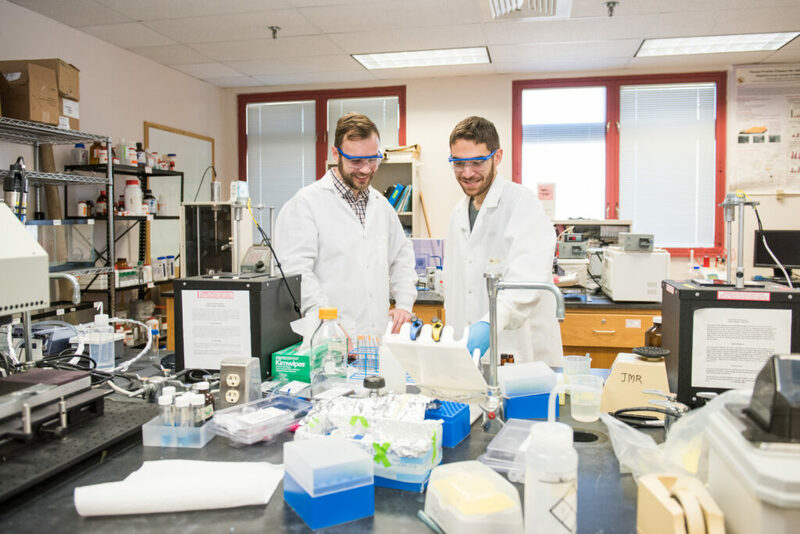 Daniel Ocasio (right) ’17, chemical engineering, works in the lab of his faculty mentor Lee Blaney (left). After completing his UMBC degree, Ocasio began a Ph.D. in environmental engineering at UC Berkeley. New to the profile this year is a mention of UMBC’s rank as third nationally in invitations for theatre students to perform at the prestigious Kennedy Center American College Theatre Festival. 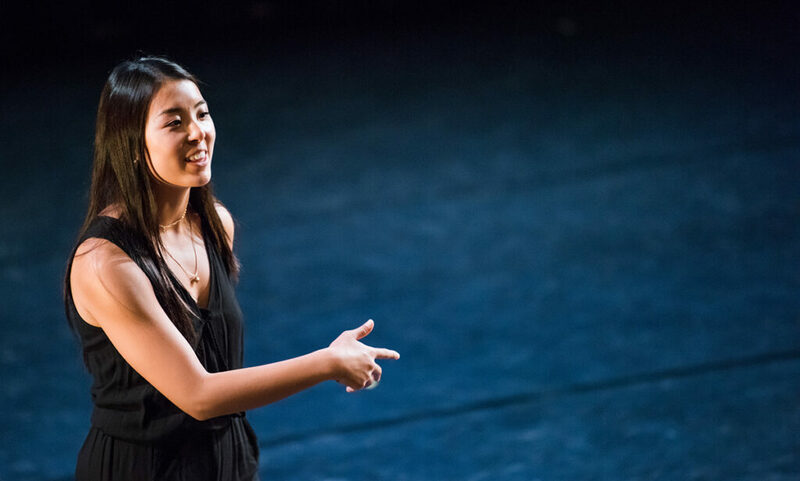 Earlier this summer, choreographer Maia Schechter ‘18, dance, was invited to showcase her original piece Now Elsewhere at the Kennedy Center. Princeton Review also spotlights the importance of diversity, inclusion, and supportive community at UMBC. UMBC’s profile notes that students feel diversity “enriches our school and everyone gets to know everyone” across racial, ethnic, and cultural identities. Princeton Review profiles for The Best 384 Colleges are based on surveys of 138,000 students nationwide. Earlier this year, the Center for World University Rankings placed UMBC in the top 3.5 percent of universities worldwide and a new U.S. News & World Report ranking heralded UMBC as one of the best universities for international students. Header image: UMBC students walk across campus, 2017. All photos by Marlayna Demond ’11 for UMBC.